This plant will produce seed pods pretty regularly as it grows large enough. Gigantea can commonly self pollinate, though it seems to not breed with others such like Fallax and Affinis. Once mature, beneath the spath (bloom), you should see the pod. 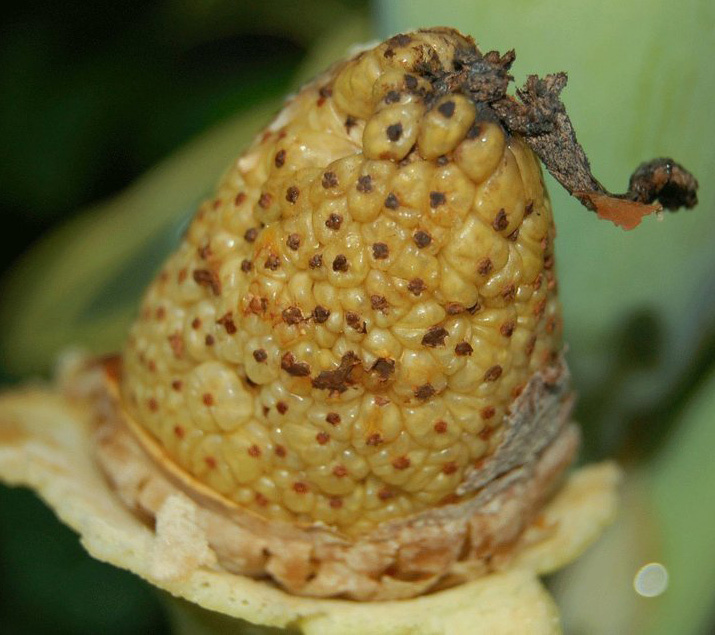 In fact, many will have 5 or so spath flowers, each with a pod beneath it, all from a single leaf node. It will likely take several weeks for the pod to ripen and burst - but when it bursts open it's ready. It will look like it has exploded from the inside out (note the photo here). On the following pages we'll go over the steps to harvesting, soaking, and sowing seeds from the Colocasia Gigantea - Thailand Giant Strain. 1.) The first step is to remove the seed pod from the parent plant and extract the seeds by squeezing them out of the berries. 2.) 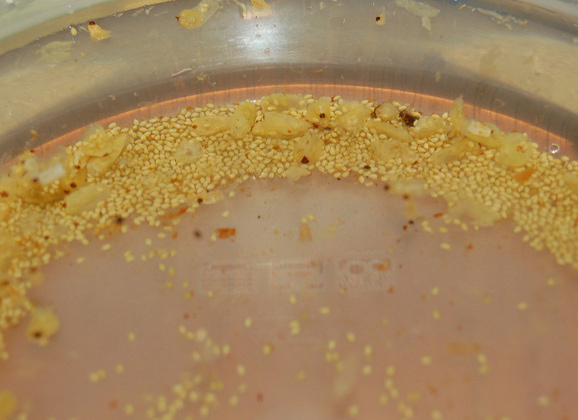 Then soak them overnight in water for planting the next day. The seeds, which are very small (tomato seed size) can also be stored in a dry cool place for sometime if you're not looking to plant immediately. On a side note, you may notice how the inside of each ripened pod smelled like muscadines... go figure. 3.) 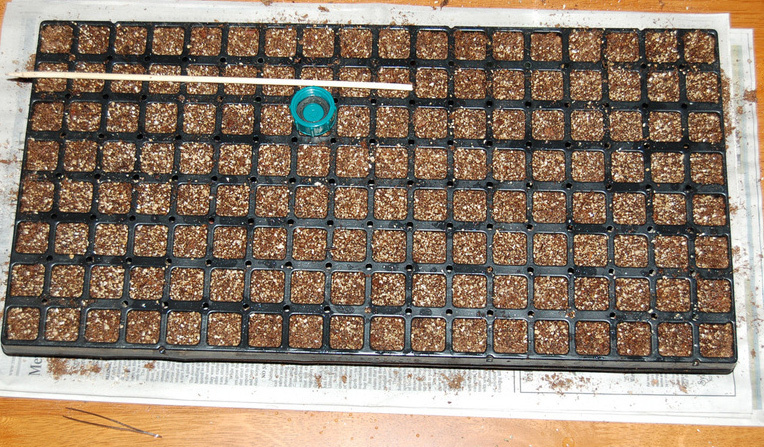 If you are looking to plant immediately, have your seed tray ready with fine mix (preferably with a soil-less mix to avoid contamination; fungus can spread rapidly amongst seedlings). 4.) Spread them out on the surface and don't cover them with any soil. 5.) Mist them or keep them moist (a tray or container with a clear or translucent top will work to retain humidity, but you need to check them frequently to be sure they don't dry out - remember, they really like to be wet). 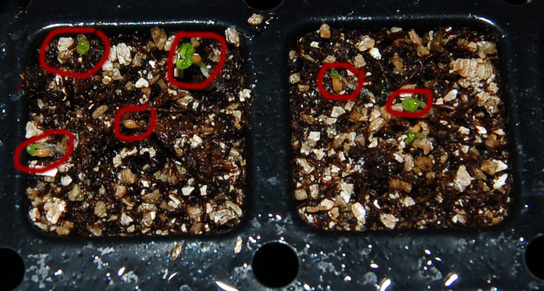 They should germinate quickly. 6.) 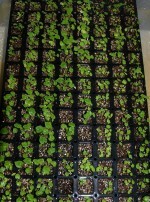 The seedlings will need to be transplanted into larger 3-4" containers within a few months. You'll need to do this very carefully since the seedlings are very fragile at this point; they don't have much of a bulb at this point. 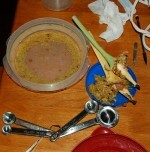 I have found that by using a tray with a large hole in the bottom, I can poke a pencil through and push the plant out. Sometimes letting them dry out a little bit helps with this. 7.) 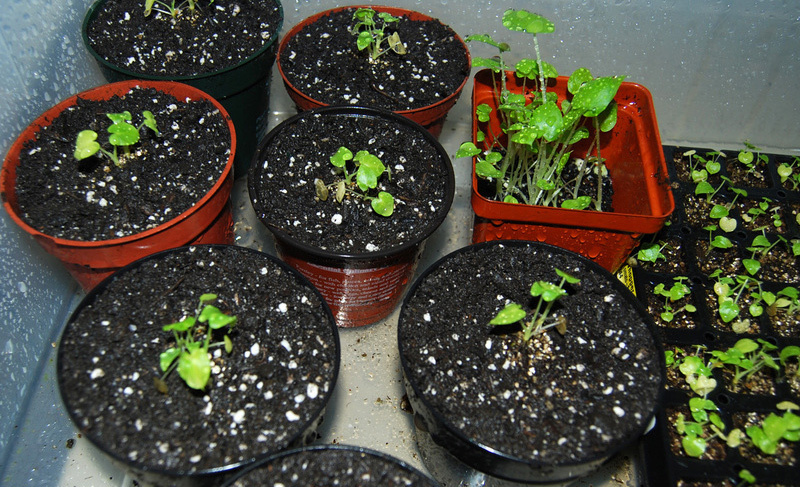 Once you re-plant them in their larger container, be sure to keep them moist again so they can re-establish themselves. Once they grow a little larger, you can even set the pots in standing water and let it soak up the moisture through the bottom of the pot. 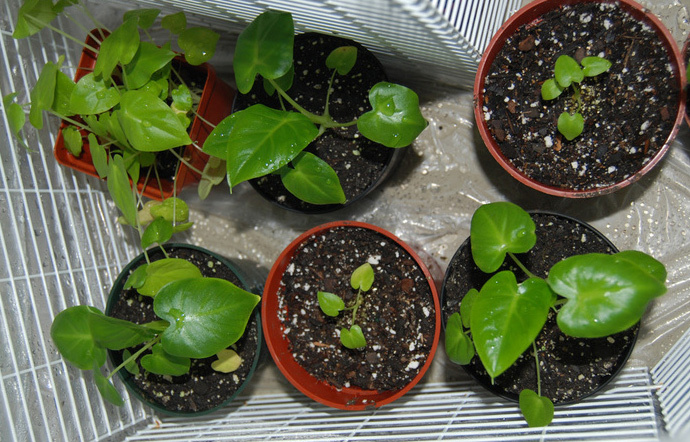 These plants will thrive in water and will not drown. 8.) It won't be much longer before the 3-4" potted plants will need to be moved into larger 4-6" pots. 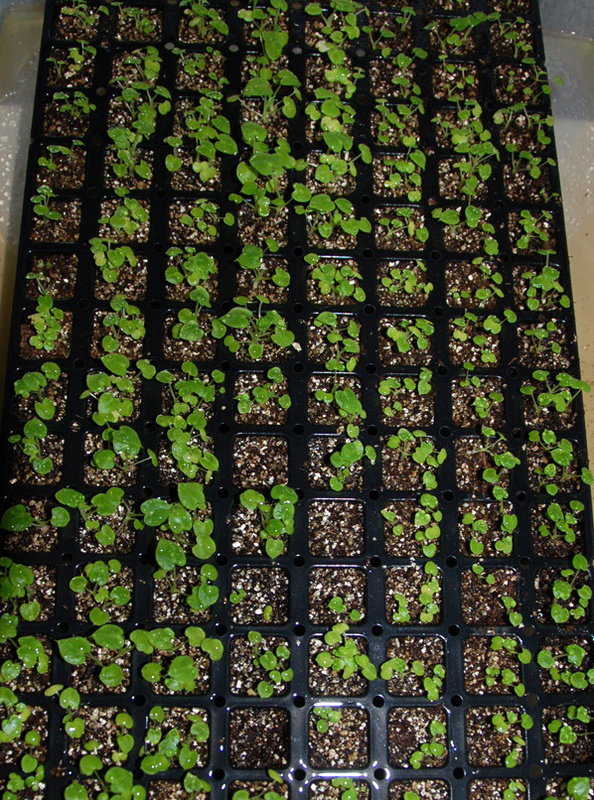 They will begin to grow quite rapidly at this stage, especially if kept in a humid and well lit environment. Do you export to Barbados in the West Indies? 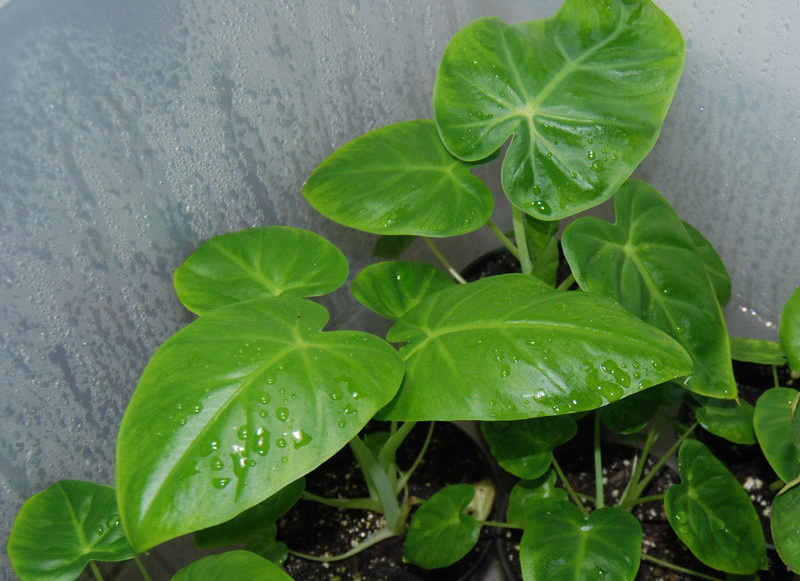 We are interested in your alocasia & elephont bulbs.